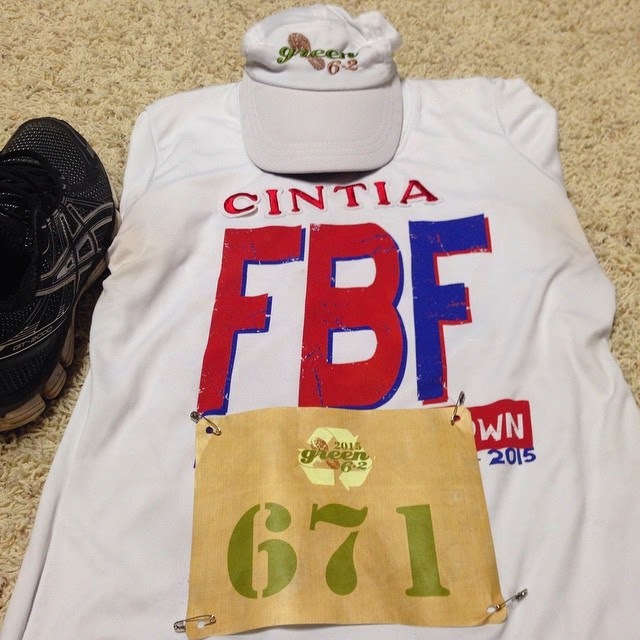 Twas the night before the Green Run and I did what I often do: take my race outfit picture! I also had to prepare everything at home for my kids so that by the time the babysitter came everyone would be okay and I would run worry-free. This is real life friends: not glamorous but we make it work! Zeke and I head over to CityCentre and we met up with our running group. Have I told you how much I love these wonderful people? There were a bunch more who showed up after the picture. I love Fort Bend Fit! The race itself was a challenge for me. I got to the start line very happy and thankful to be there. My goal was not to give up on myself. Believe it or not, my mind game was kind of strong but not 100%. I ran with my buddies for a little bit then I slowed down. While I was running I was praying for a little while. I remembered that I needed to help someone along the way so I encouraged a lady who was next to me and kept going. When I got close to the finish, someone was cheering me on so I cheered her on. We talked for a bit and she said she was having a hard time. She proceeded to tell me that she was running a half marathon the following week so I kept telling her that she had it in her to finish strong. I'm glad I had a chance to cheer her on! The course was the same as last year but quieter. I didn't see as many people cheering from their yards. I stopped at the last water stop and let me tell you: the water was nice and cold! I noticed one of the water stops had the Mexican theme going on. Super exciting to see! I finished it in 1:03:42 which is not a PR but 5:09 slower than last year. Not bad for a girl who is bouncing back and trying to get stronger! 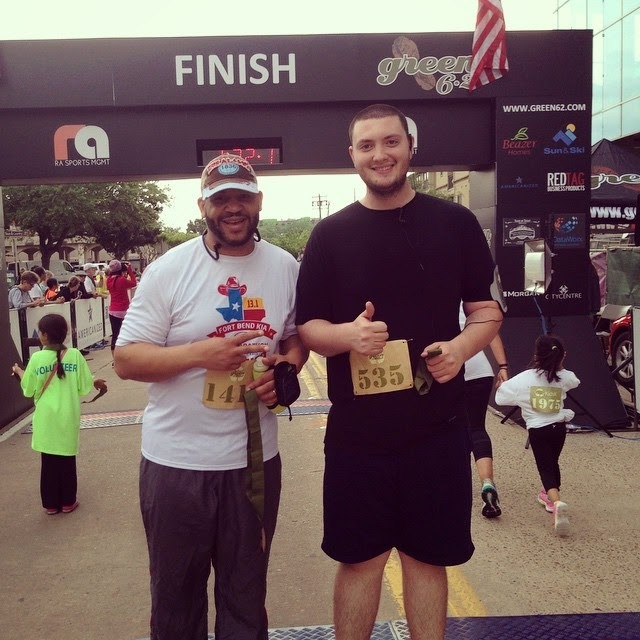 I hung around the finish line for a while then I went back to see my husband Zeke and our friend Caleb finishing. 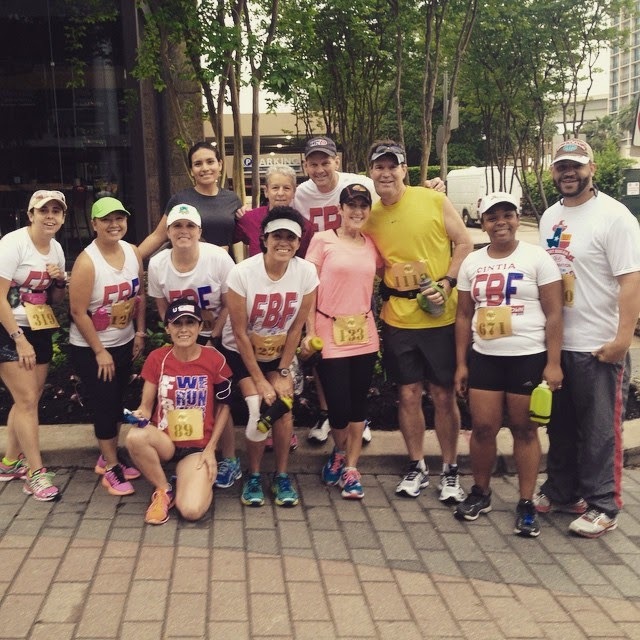 I was really proud of all my friends from church who finished their first 10K last Saturday! 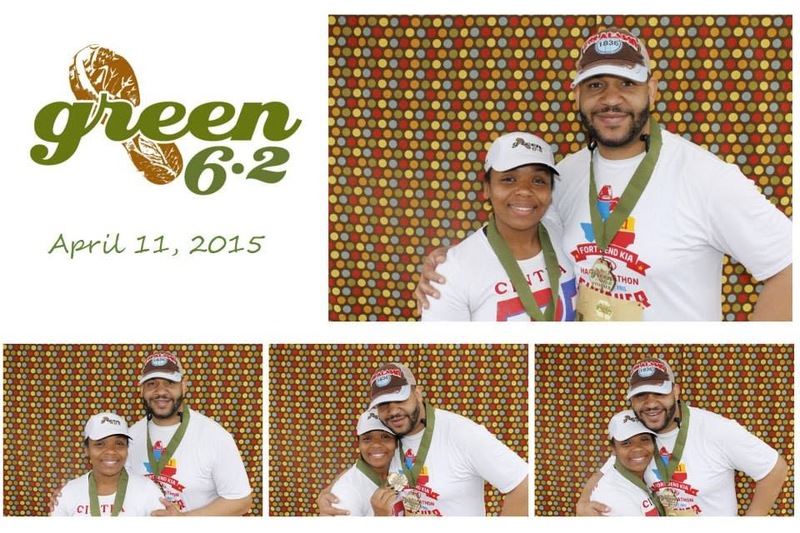 I was reminded that Zeke started coming to the Green 6.2 to support me and now he finished his second Green run! I am thankful for another opportunity to run this great race! 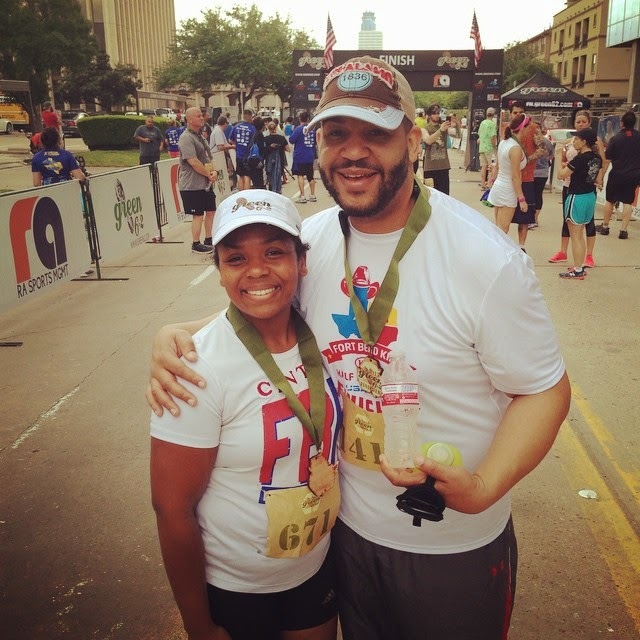 I can honestly say that we enjoy running the Green 6.2 because it is a race where we are making great memories and connecting with friends in a healthy atmosphere. I hope you can join us next year! Disclaimer: I received two free entries to the Green 6.2 in exchange for Race Promotion. The honest opinions on this post are my own.